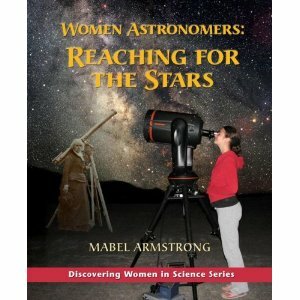 Women Astronomers is a book about historical females in Astronomy. It contains brief autobiographies about women’s role in developing the field of astronomy. It starts with EnHeduanna in 2350 BC and ends with 15 women who are currently studying and researching astronomy. Jahnna and I had a lot of fun reading this book together. I think it’s fun to watch that moment that flits across a child’s face when they understand something new. We’ve talked about stars in our family before but we’re not avid star gazers. We don’t have a telescope or anything like that. All though after reading this book together I think one might be added to a Christmas list that got started back in July. Jahnna was amazed (so was I) at how much women have contributed to the science. I’d never really thought about it that much but there are a lot of inventions that women came up that advanced the study of stars. Women like Caroline Herschel who overcame several hardships and illnesses to become a team with her brother. Together they discovered and documented over 2,000 nebulae. That discovery helped full the advancement of astronomy for years. I did not realize that there were so many years that the records of women in science didn’t record. I suppose it shouldn’t be that surprising if you think about how women were treated back then but it was for me. This book is well written and interesting to read. It’s a bit technical for younger readers but if you know of a child or adult who is starting to become interested in Astronomy, this would be a good place to start.